recommendations for care anytime, anywhere. Learn more about UpToDate Anywhere! 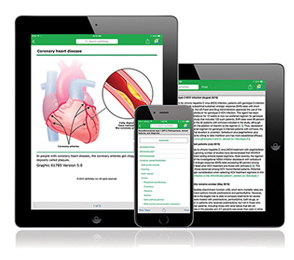 UpToDate Mobile Apps answer clinical questions FAST! Provide your clinicians with current, evidence-based recommendations for care anytime, anywhere. Improve outcomes by using evidence-based clinical decision support at the point of care. Provide your clinicians with access to current, evidence-based recommendations for care in the office, at home, or at a patient's bedside with UpToDate Anywhere. Mobile Apps: UpToDate Mobile Apps for iOS® and Android™ devices are praised as one of “The Best Apps in Publishing” by EContent Magazine.